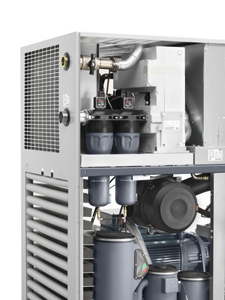 A&W Compressor has the air compressor parts you need for your compressed air system. Businesses in Bristol, Tennessee, and throughout the area can rely on us for the replacement parts they need, no matter what size, type, or brand of compressor they have. Since 1982, we have been the region’s reliable source for all types of compressed air needs, including parts, replacement systems, and maintenance and repair services. Whether you know exactly which air compressor parts you require to replace or need help identifying the issues your compressed air system has, our experienced specialists can help. If necessary, we can perform an air audit on your compressor system to identify inefficiencies that are creating unnecessary costs for your Bristol, TN, business. Then, our specialists can recommend and install the parts you need from our large inventory of filters, fittings, ball valves, air tanks, pumps, regulators, belts, air ends, and much more. At A&W Compressor, we are committed to providing our customers with quality service and reliable products. We believe our work speaks for itself and offers true value to our customers, which is why we’ll never lock you into a long-term contract. If, for any reason, you wish to cancel our services, you are welcome to do so without penalty. When you choose A&W Compressor for your air compressor needs, you’re choosing a company that stands for honesty and integrity. For more information about air compressor parts or any related services we offer in Bristol, TN, contact A&W Compressor today. A & W Compressor is your source for reliable, professional air compressor sales, repair and maintenance, as well as fast, efficient air compressor rentals. Proudly Serving Mountain City to the Tennessee River.